Please note, that the "Object Edit All" and the "Source Edit All" masks consist of the equivalent "Create" and "Add ..." masks in the order of their appearance above. In addition, there might appear some fields on display only that cannot be edited in the mask appropriate and are not annotated because they are invisible in the edit mode. This mask is for creating objects only. For editing existing objects, go to the object and click on the tab "Edit form" (in future: "Edit all"). Choose the topic (Friedrichstein or Schlodien or both). Insert Title of object here. English is mandatory. Other languages are welcome. Use "+" button on the right for multiplying. Choose language of the title entry above. If the title entry is not bound to a certain language like room numbers or Getty AAT IDs, please keep "select". Enter the source of the title here if taken from a source in the data base. If the title is taken from a web source, enter the source's URL here. Building part hierarchy: Wall is part of room, room is part of wing, wing is part of building, building is part of property. Only the objects on top of the hierarchy have no entry here. Objects that are part of this object. Eg. a floor that is part of a room. A list of other objects that share all main features with this object. Eg. hand made objects that look the same at first sight, but differ in small details. Objects from industrial production that can be seen as equal. Field for locations outside the area that is being modeled in the 3D reconstruction model. The entry will be stored in „Places“. Natural Person who dealt with the object. Event the object plays a role within. Corporate Body that dealt with the object. Description of the object. For research related text, please create an appropriate activity! Transcription of an inscription on the object. URL of the image showing the object and not being a source. This is not for sources! You can upload at least one image with the "File Attachments" tool in the page's footer. Copy the link below the image's file name after uploading and clicking "Attach". Uploading more than one image, please take into consideration that the first image in the list is the preferred image on display. Object whose provenance is described below. Use this field if the object came from a corporate body. Use this field if the object came from a natural person. Use this field for the inventory number of the object in the provenance repository. Use this field, if the object was handed over during an event. Example: If an object has been handed over during a field trip, enter the title of the field trip. Enter the name of assessed object. In most of the cases, this should be filled out already. If not, please be sure entering the right object's name. Event or activity during which the assessment took place. The condition state (short term). Preferably taken from a controlled vocabulary. Controlled vocabulary URI of the term used above. Use this if no assessment event can be identified or the date here would be more precise than the event's dates. Enter the name of the source in the data base the date is taken from. Enter the URL of the web source the date is taken from. Choose the language of the field above. The name of the physical object that is subject of the following rights. Eg: cc by sa 4.0, GNU General Public License (GPL), Version 2.0, etc. or any free text description. Complete name of natural person in possession of rights. Name of the corporate body in possession of rights. Enter the title of the object being measured. Event or activity during which the measurement has been taken. Name of the source in the data base the measurement is taken from. URL of the web source the measurement is taken from. Choose the object's property being measured. Enter the unit e.g.. m, meter, cm, centimeter, piece etc. Use 1 if measured property is "scale". Enter the measured value here. E.g. : "1,23" or "4". Scale 1/100 for example is "0,01". This mask is for creating sources only. For editing existing sources, go to the source and click on the tab "Edit form" (in future: "Edit all"). Object shown or described by the source. Event or activity shown or described by the source. Natural Person shown or described by the source. Corporate body shown or described by the source. Part of relation for sources: a page is part of an album, a photography is part of a page, etc. Other sources that share all main features with this source. Eg. two different prints from the same negative with different rights and provenance. Enter the name of the object in the data base, if the source's information carrier is an object within the 3D reconstruction model. Example: a painting hanging on a wall in a modelled building showing that same building. Event meanwhile the source has been used. Choose the digital source type from the list. URL of the image showing the source or of the digitised source itself. You can upload at least one image with the "File Attachments" tool in the page's footer. Copy the link below the image's file name after uploading and clicking "Attach". Uploading more than one image, please take into consideration that the first image in the list is the preferred image on display. URL of the resource. You can upload the resource with the "File Attachments" tool in the page's footer. Copy the link below the resource's file name after uploading and clicking "Attach". The maximum upload size is 1000 MB. Only files with the following extensions may be uploaded: jpg, jpeg, gif, png, txt, doc, xls, pdf, ppt, pps, odt, ods, odp, obj, js, ptx, dxf, xyz, mtl, mat, dwg, mb, vue, vob, fmz, c4d, max, 3ds, ply, skp, 3dm, stl, wrl, vrml, zip, mp4, tif, tif,f svg, 3dPNG, pPNG, dPNG, rdf. Please be aware of the fact, that only pixel image files can have an automatically created preview image representing the source in overviews. So if the uploaded resource is not a pixel image, please provide one by uploading and using the "image link" field. This mask is provided by a tab on the pages of exiting objects. It adds rights information to the source's entry. For editing existing rights information use the "Edit form" tab (in future: "Edit all"). Source whose provenance is described here. Corporate body the source comes from. Complete Name of the natural person the source comes from. Inventory number of the inventory the sources comes from. Enter the name or a short description of the license granted. Event during which the source has been handed over. This mask is provided by a tab on the pages of exiting objects. It adds publication information to the source's entry. For editing existing publication information use the "Edit form" tab (in future: "Edit all"). Source whose publication are described here. Should be filled out automatically. Enter the ISBN. Entering the ISBN you don't need to fill out the rest of this mask. Enter the DOI. Entering the DOI you don't need to fill out the rest of this mask. Name of the publishing house. This will be stored as corporate body in the data base. Enter the name of the place. This will be stored as place in the data base. Any form of Date is allowed, also free text. Source whose rights are described here. Enter the name or a short description of the license granted for the source. Enter the name of the Corporate Body that granted the rights. Enter the complete name of the natural person who granted the rights. This mask is provided by a tab on the pages of exiting sources. It adds production information to the source's entry. For editing existing production information use the "Edit form" tab (in future: "Edit all"). Source created by the production. Complete name of the source's author. Material of the source's information carrier. Name and version of the software used to create the source. Event that produced the source. This mask is provided by a tab on the pages of existing sources. It adds dimensions information to the source's entry. For editing existing dimensions information use the "Edit form" tab (in future: "Edit all"). Enter the title of a compilation event during which this measurement has been taken. Enter the title of the source in the data base this extent is taken from. Enter the URL of a web source this extent is taken from. Requires "Measured Property" set to "Format". Use "1" if measured property is "Scale". Enter the measured value. For scale e.g. 1/100 is 0,01. This mask is for creating and editing Events or activities. Select Topic (Friedrichstein or Schlodien or both). Enter title of the event or activity. Please be short and precise. Think about how to find the event or activity again. Select the language of the title above. Enter the name of the source in the data base the title is taken from (if so). Enter the URL of the web source the title is taken from (if so). The name of another event this event is part of. Eg. the siege of Stralsund is part of the great nordic war or the measuring of the height of the garden hall is part of the field trip to Schlodien. The name of another event being part of this event. Eg. The great nordic war has part the siege of Stralsund. The field trip to Schlodien has part the photographic documentation of the garden façade. Name of an object created by the event or activity: the construction of the palace created the palace. Name of an object modified by the event or activity: the restoration of the palace modified the palace. Name of an object taken out of existence by the event or activity: the burning of the palace destroyed the palace. Name of an object taking part at the event or activity without being created, modified or ceased to exist: eg. objects being documented. For objects being modelled use "Object Modelled" below. Enter the name of a source being used during the activity. Enter the name of a source being created by the activity. Enter the name of a source being destroyed by the event or activity. Natural Person who died because of the event. Name of a corporate body created by the event/activity. Name of a corporate body modified by the event/activity. Name of a corporate body taken out of existence by the event/activity. Enter the name of the place in the data base where the event or activity happened. Link to images showing the event/activity not being sources. After using the "File attachment" section below, this field will be autocompleted by saving the entry. Enter any link to images not uploaded with this entry manually (also from outside, e.g.. wikimedia commons). One image is mandatory! The first in the file attachment list is automatically the preview image of the event/activity in overviews and search results. A 3D reconstruction activity creates a version of a 3D reconstruction model that can be annotated in this section. Variations are branches of the model with different approaches, assumptions and hypothesises. This is where you can bound the model version to a variation branch. Start with capital lettere "A". Enter the title of the object represented by the 3D model version. One model version can contain more than one objects. Please mention all objects modelled. Please set to integer value between 1 and 9. Link to the geometry file for display with web GL. Upload the geometry files first using the "File Attachments" section below. This is only for purchased models not created by project participants. Name of the Corporate Body the model came from. Complete Name of the Natural Person the model came from (author). Inventory number of the 3D model or URI of the 3D model in a web repository. This section is for describing special rights statements not covered by the project's general rights agreement. Name of the Corporate Body in possession of the rights above. Name of the Natural Person in possession of the rights above. Name of a natural person participating in the event/acitivity in an active way. Eg. someone holding a lecture. Name of a corporate body participating in the event/acitivity in an active way. Name of a natural person participating in the event/acitivity in a passive way. Eg. someone being in the audience of a lecture. Name of a corporate body participating in the event/acitivity in a passive way. Enter the denomination of the method being used during the event/activity: eg. "Digital photography" or "Photogrammetric survey". Methods are broader than techniques. Enter the denomination of the technique being used during the event/activity: eg. "Oil on canvas" or "Structure from motion". Enter the denomination of the equipment used during the activity. Eg. "Tripod Manfrotto XPro 190". Enter the name and version of the software used during the activity. If the software applies for more than one operating system, please mention also the operating system. Eg. "ImageFuser 0.7.8" or "Maya 2015 for MacOSX". Use the "+" button for more than one. Section for temporal information about when event/activity happened. This mask is for creating and editing natural persons. Complete name of a natural person. This field is mandatory. It should also be filled out, if only parts of the name or a pseudonym are known. Enter the first name of the natural person. Enter the second name of the natural person. Enter the last name of the natural person. Enter all other names than the three above in their correct order. Enter the name given at birth if changed eg. due to marriage. Enter the name of the source in the data base the name or part of the name is taken from. URL of the web source the name or part of the name is taken from. This section is for other personal identifiers, eg. authority file IDs or wikipedia articles. Getty ULAN: Enter ULAN ID as "Identifier" and "Getty ULAN" as "Source". GND: Enter GND ID as "Identifier" and "GND" as "Source". Wikipedia: Enter URL of the article as "URL"
Enter the authority file ID. Enter the authority file's name as source in the data base. Enter URL to identifying authority file without WissKI connectivity or to any other appropriate web identifier (eg. wikipedia). Enter the pseudonym of the natural person. Enter the name of the source in the data base taht shows the natural person. Event in which the person took an active role. Event in which the person took a passive role. Enter a parent's complete name (natural person in the data base). Enter a children's complete name (natural person in the data base). This section is for any other human relation than parent/child. Enter the complete name of the related natural person. This section is for describing memberships in corporate bodies. Enter the name of the corporate body. Enter academic degree of the natural person. Choose the gender of the natural person. Enter the nationality of the natural person. Enter the peerage of the natural person. Enter the birth date of the natural person. You can enter free text. Enter the name of the natural person's place of birth. Enter the death date of the natural person. You can enter free text. Enter the name of the natural person's place of death. This is for addresses. For locations with timespan information, please create an event/activity. Enter the phone number. With country code preferred. Enter the fax number. With country code preferred. Enter the mobile phone number. With country code preferred. Enter the URL of the natural person's website. This section is for social networking contact. Enter the name of the social network. It is stored as corporate body in the data base. Enter the URL of the natural person's site in the social network. This mask is for creating and editing corporate bodies. Corporate bodies are legal bodies or informal groups of people. Enter the vernacular name of the place if German, Polish, Russian or English. If the vernacular name is in another language, please use the English name. This field is mandatory. It should also be filled out, if only parts of the name are known. Enter the name in another language than above. Choose the language of the field above or "Select" if the language does not appear. Event in which the corporate body took an active role. Event in which the corporate body took a passive role. Complete name of natural person being member of the corporate body. Name of corporate body being member of the corporate body. Name of corporate body the corporate body is meber of. Link to images showing the corporate body not being sources. Official logos are preferred. After using the "File attachment" section below, this field will be autocompleted by saving the entry. Enter any link to images not uploaded with this entry manually (also from outside, e.g.. wikimedia commons). One image is mandatory! The first entry in the file attachment list is automatically the preview image of the corporate body in overviews and search results. This mask is for creating and editing places. Choose type of place for disambiguation. Use the narrowest term. Enter the vernacular name of the place if German, Polish, Russian or English. If the vernacular name is in another language, please use the English name. For addresses, use English and start with "Address of" followed by the name of the person or corporate body. Name of the source in the database the name is taken from. URL of the web source the name is taken from. Enter the name in another project's language than above. Enter the historic name of the place in one of the four project's languages. Enter name odf the authority file as source in the data base. Enter the name of a broader geographic entity, eg. "Bavaria" is part of "Germany". Enter the name of a narrower geographic entity, eg. "Bavaria" has part "Munich". Use this section if place is address. For the town use "Place is Part of" field above. Use the checkboxes for privacy. Enter the house number. Letters allowed. Enter the name of the road or any other entity the house number is referred to (eg. place, crescent, village, ...). Use this also for p.o. boxes. Enter post or ZIP code here. 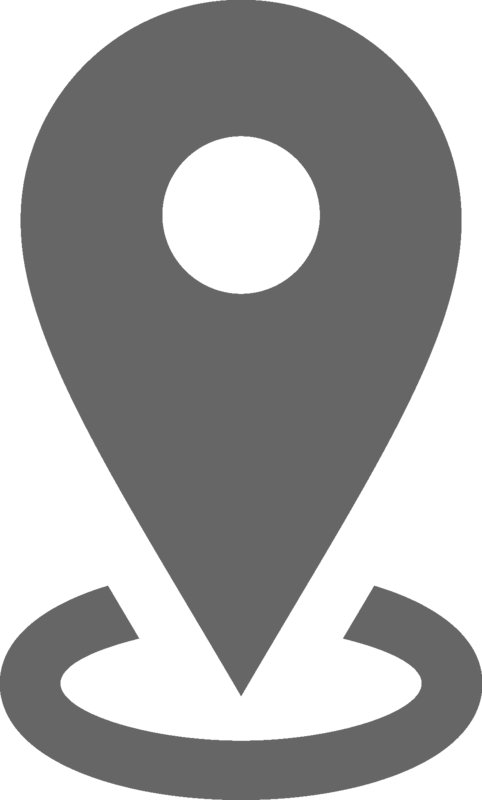 Enter the URL of the place's node in open streetmap (OSM). Boundaries are preferred to points. Enter the place's ID from the German National Library authority file here. Enter the URL of a corresponding Wikipedia article that is not used above (eg. in the vernacular place's language).